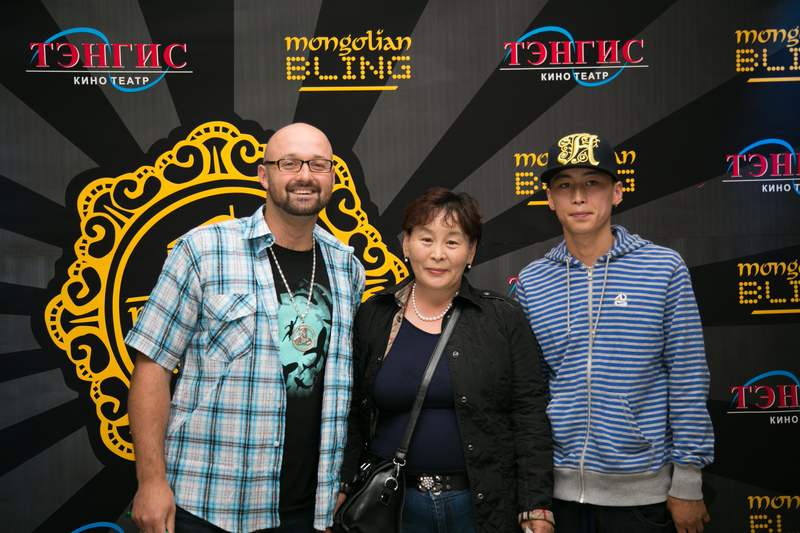 It was 4:45pm on Saturday, 6th July and I was finally heading to the Mongolian premiere of Mongolian Bling. The skies were threatening to explode with rain but nothing could spoil my mood. I’d waited for this moment for years. In fact, the screening was so important to me, that I was feeling anxious. “What if no one comes?” I was thinking as I walked down the street. 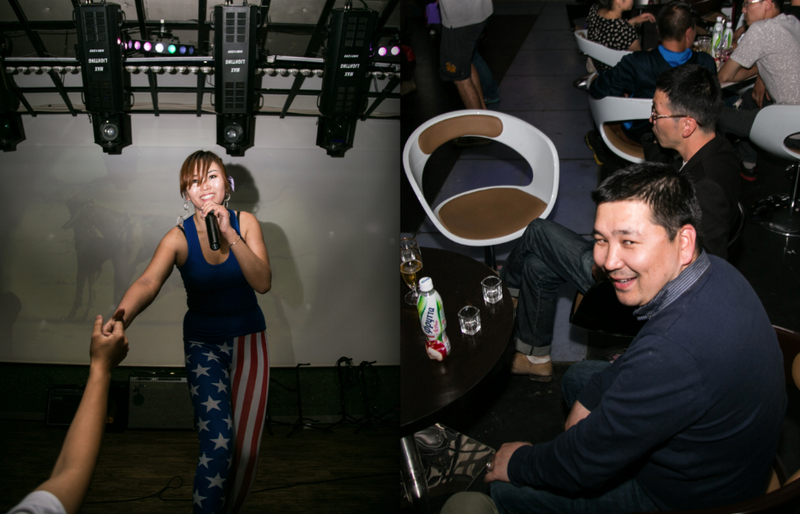 “What if people don’t like it?” I’d received feedback from audiences and critics from all over the world and while it was generally positive, it was the Mongolians’ thoughts that carried the most weight for me. 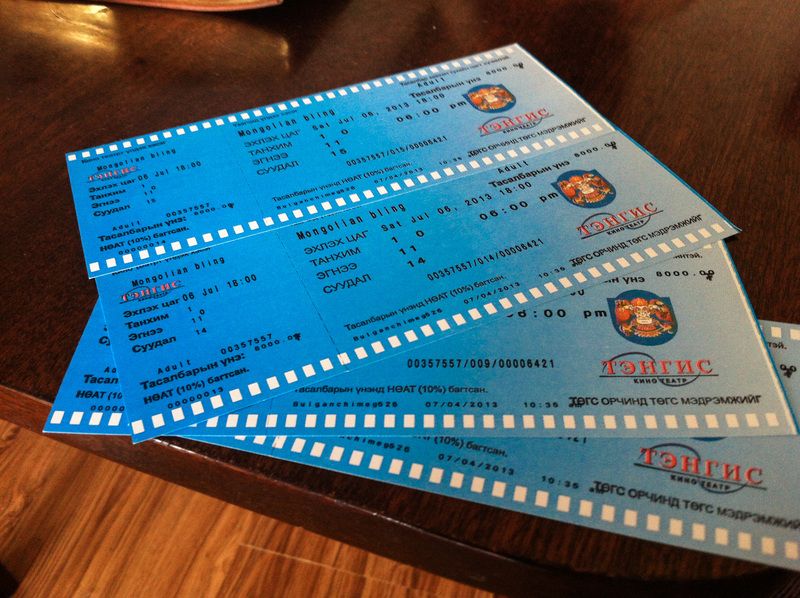 If they felt the film correctly represented Ulaanbaatar in this day and age, then I’d feel like I’d succeeded. I didn’t even want to think how I would feel if they didn’t like the film. Movie aside, we’d done all we could to prepare for the day. I’d spent two weeks appearing on TV shows, talking live on radio stations and having interviews with newspapers and magazines. I’d even managed to convince APU, a local alcohol company, to organise an after party. All I could do now was sit back and enjoy the moment. Chimka and I had struggled to find red carpet and APU had promised to take care of it. I was smiling at the idea of a strip of bright red carpet as I walked into the cinema foyer, oblivious to the surprise I was about to get. Right there before me, six men were erecting a floor-to-ceiling banner for the premiere, complete with the Mongolian Bling and Tengis Cinema logos. 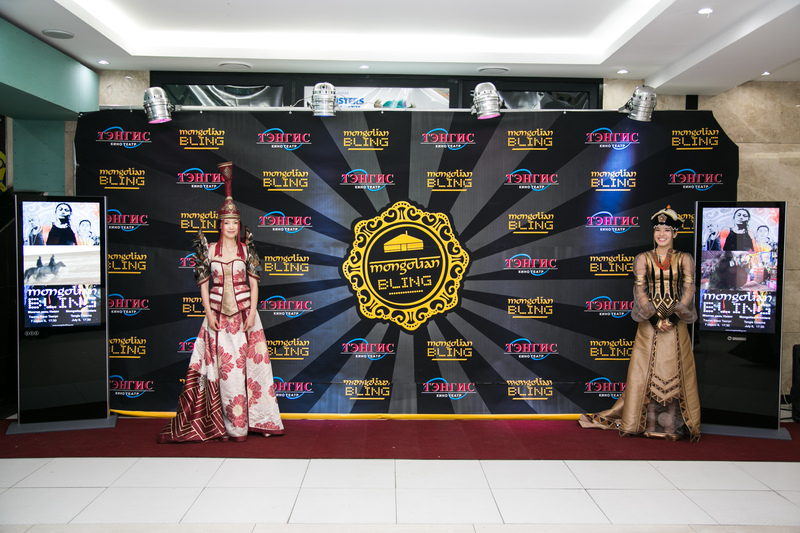 Red carpet lay beneath it and as the banner was secured, a row of Mongolian models in traditional clothing walked out and started welcoming guests to the screening. 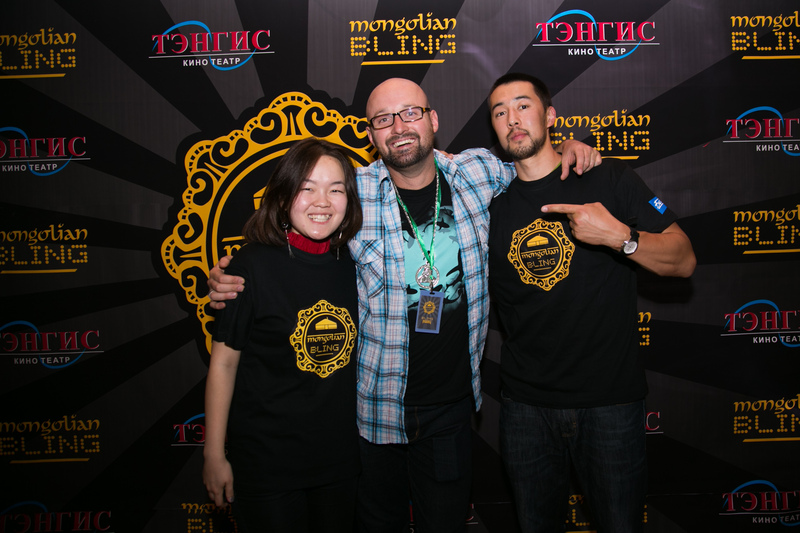 After almost a year of showing the film, the Mongolian premiere was quickly shaping up to be the most professional. The carpet, banner and models took the occasion to another level. It looked amazing. Emily Cowlrick had already shared some photos online. She had responded to a call-out two weeks prior and was taking care of all the social media for the premiere. After seven years of working on Mongolian Bling, I’m still amazed every time someone like Emily comes along and offers their skills. Her social media expertise definitely helped fill the cinema. As Chimka and I welcomed everyone, I saw familiar faces in the crowd pushing against the red rope barrier. Quiza. Bayarmagnai. Gee. Amgalan. Yesukhei. Oyunbileg. Tsogo was in the hospital the night before due to a fight so I was surprised to see him there, looking somewhat overwhelmed by the bright lights and media frenzy. As I invited Nasanbat out of the crowd, the hovering photographers started snapping and a TV network dragged off individuals for questions. Soon a steady flow of people were joining me on the red carpet and posing for photos with fans and friends in front of that incredible banner. Thirty minutes later people were still posing as the ushers tried to hurry us into the cinema. It didn’t work. Everyone was too excited. The cinema was just three quarters full and half seated when the film started. 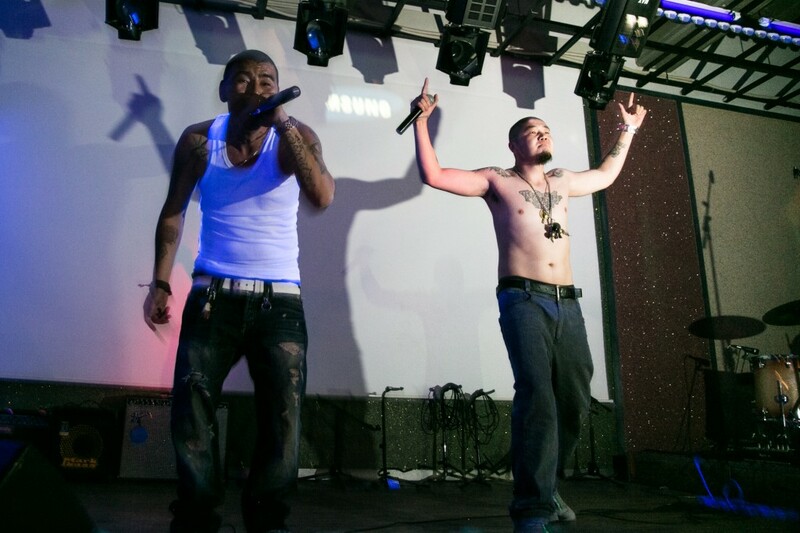 People quickly dashed to a seat, talking ceased, the lights were dimmed and as soon as Bayarmagnai said ‘Hip hop originated in Mongolia’, the crowd roared to life. The cheers returned each time a character was introduced and when the credits rolled 90 minutes later, the cinema erupted into applause. It said more than any critic ever could. We managed to stop people before they exited the cinema but the Q’n’A quickly turned into a series of speeches. Bayarmagnai praised the film. Ganbold’s mother stressed the importance of helping people in the Ger Districts. Oyuna, Mongolia’s minister for culture, sport and tourism, was in the crowd and people kept telling her she had to show the film to the president so he’d understand the issues facing the country’s youth. Even Tsogo, having overcome his stage fright, got up and made a speech. 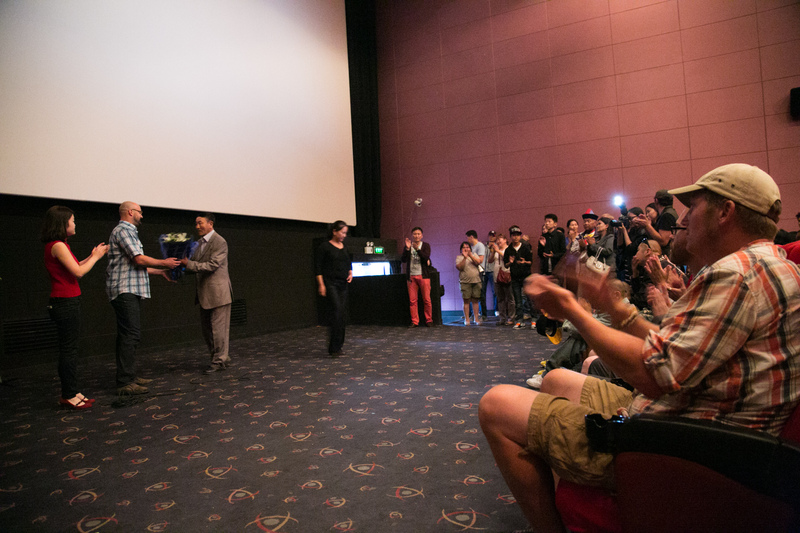 I’d thanked everyone straight after the film and made special mention of Enkhtaivan, dedicating the screening to him but I was surprised when his parents approached with a bunch of flowers. It must have been an incredible experience for them; some foreigner rocking up and screening a film that featured their dead son. I had to fight back tears as Enkhtaivan’s father spoke. People grabbed a VIP pass on the way out and we all went to Club Vegas for the after party. The banner had been moved there and people started getting photos taken in front of it before moving into the main bar. Inside there was a huge spread of food and bar laden with cocktails. Mongolian Bling logos were plastered all around the venue and my mate, Eamar, was filling the room with music. I thanked everyone again then Badrakh and his mates got up and rapped a few tracks. The crowd soon warmed up and everyone jumped on the dance floor when Gee took to the stage. Gee’s energy on stage is a force to be reckoned with. Quiza came on after him and finally Gennie made her way to the mic. She’d missed the screening but made it to the after party. A few other guys from Gee’s crew rapped and DJ Eamar keep the dance floor moving. As the free food and alcohol came to an end, people started dispersing. I stood in the almost empty bar and took in the moment. 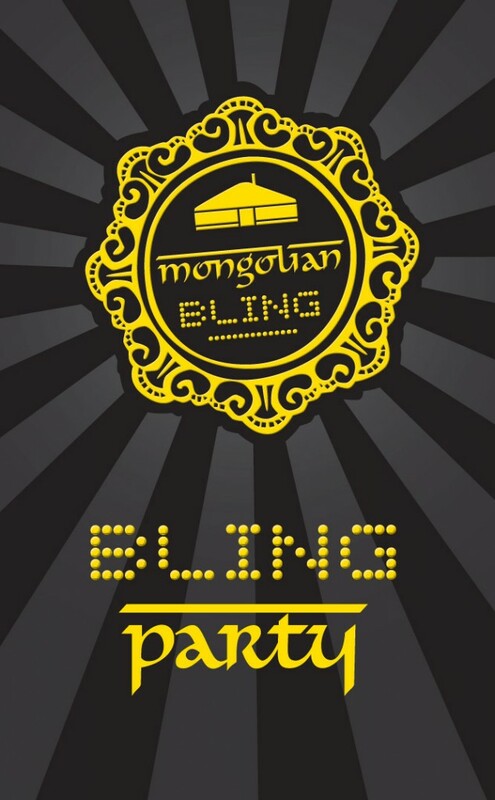 Mongolian Bling had screened in Mongolia. I was ecstatic that the premiere had gone so well, relieved that it was all over, and not one bit anxious. Grinning, I grabbed a final shot of vodka and followed my friends into the night. Read part 1: Planning the Mongolian Premiere.